Even a good detective might first start out thinking that someone besides the actual culprit was the one who did the crime. However, with some extra research, a bit of intuition, and generally a run-in or two with a femme fatale, they get the right suspect into custody. 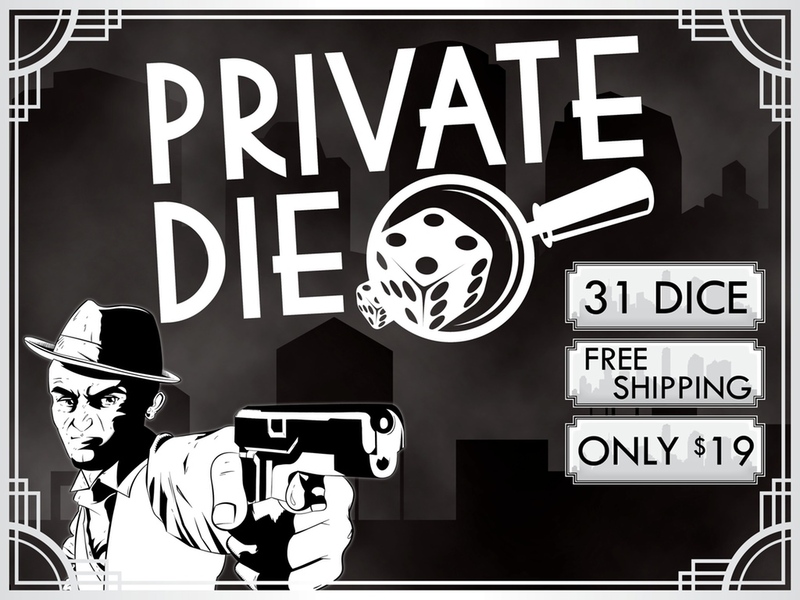 Much of that can be said as true for Mystic Ape Games, who have relaunched their campaign for Private Die, their noir dice game up on Kickstarter. 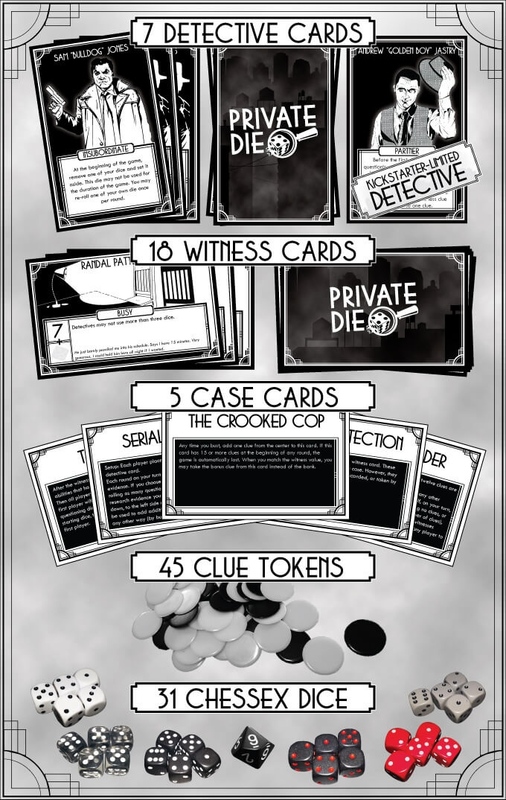 In the game, players have their Detective Card that grants them a certain ability. Each round, a new Witness is flipped and the witness die is rolled. Then the different detectives roll as many dice as they want, trying to get as close to the total Witness number (the witness card's number plus the number on the witness die), without going over. The one who gets the closest gets clue tokens equal to the number of dice they rolled. So it's a bit of "press your luck" with some strategy based on the witness and your particular Detective. The campaign is set to run for the next 29 days.